If we are what we eat and drink, then we might be in trouble. Not only is a growing amount of research finding the pesticide glyphosate in our food, it turns out that glyphosate is allowed in excessive amounts in our drinking water, too. Glyphosate is the most widely used herbicide in the world and is currently allowed for use in 130 countries worldwide. The United States uses approximately 20 percent of all Roundup. That works out to be about 280 million pounds of Roundup in the U.S. alone, or the equivalent of almost a pound per person, so it really shouldn’t surprise us that our drinking water contains glyphosate at all. 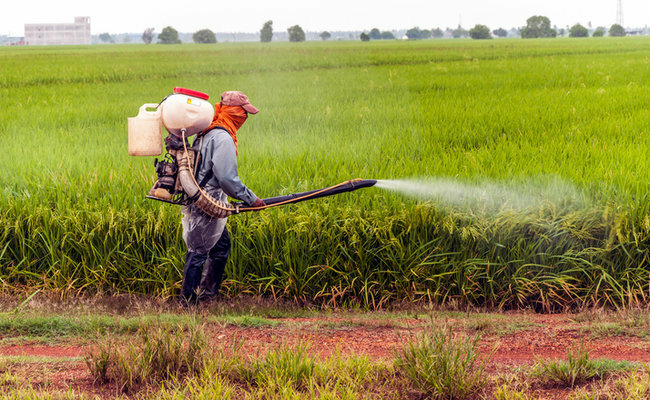 While the World Health Organization (WHO) declared a while back that glyphosate—the primary ingredient in Monsanto’s herbicide Roundup and other pesticides—is a “probable carcinogen,” the chemical is used in droves on farmer’s fields and lawns and gardens around the world. Just walk through any hardware store and you’ll find stacks of Roundup lining the aisles. So, if we know how dangerous this nasty stuff is and we’re seeing record numbers of cancer, why does the government continue to allow it? Independent studies have linked glyphosate to Alzheimer’s, Parkinson’s and autism, to name a few of the health concerns. According to a study published in Environmental Toxicology and Pharmacology, it is also causing reproductive and hormonal health issues. Not only is glyphosate in our drinking water, it is turning up in an increasing amount of our food. Check out my blog “Common Breakfast Foods Contain the Carcinogen Glyphosate.” In that study, conducted by the Alliance for Natural Health USA (ANH-USA), 10 out of 24 breakfast foods contained glyphosate. Shouldn’t federal regulators be learning from the Flint, Michigan example of corporate lack of ethics influencing government agencies at the expense of Americans’ health? It’s time to ban glyphosate altogether, once and for all. Dr. Michelle Schoffro Cook, PhD, DNM, is an international best-selling and 20-time published author whose works include: Weekend Wonder Detox: Quick Cleanses to Strengthen Your Body and Enhance Your Beauty. Thanks Michelle for sharing the info.